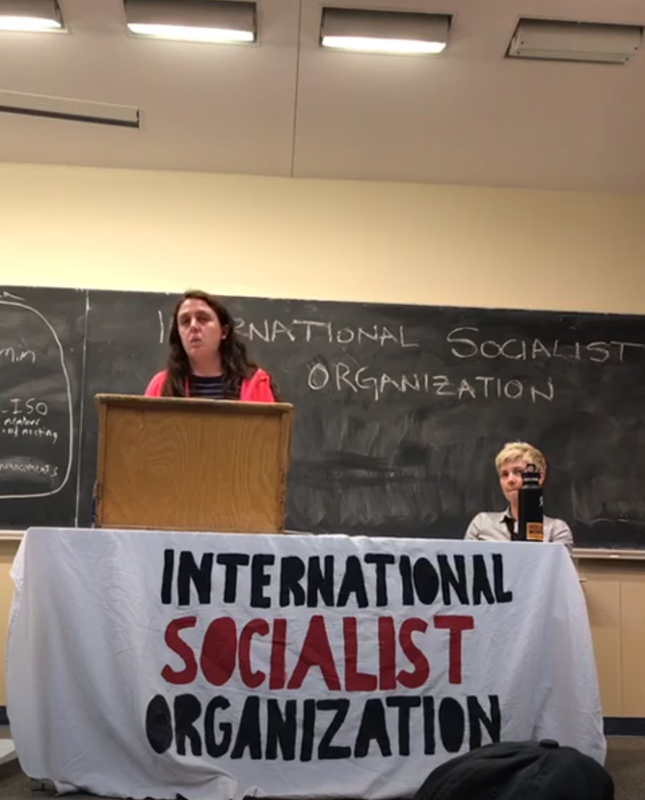 The International Socialist Organization met Thursday night to discuss ways to take action against U.S. Supreme Court nominee Brett Kavanaugh in light of his recent sexual assault allegations. 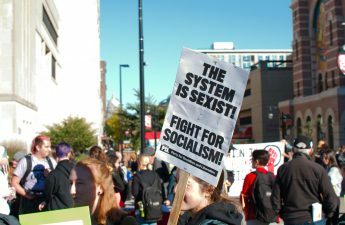 The meeting served as a follow up to the Walkout Against Sexual Assault also organized by ISO as a statement against Kavanaugh and in support of assault victims. 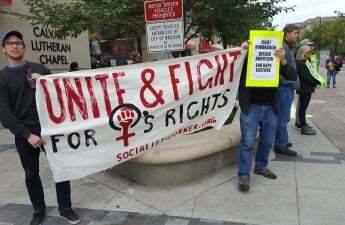 ISO organizer Dayna Long outlined the organizations action plan and their goals to engage as many people as possible in their protest against Kavanaugh’s nomination. Long said ISO had been working flexibly as each new development surfaced to organize and train new leaders and activists. “We want everyone to be an activist, we want everyone to be a leader in the fight,” Long said. Long mentioned the organizing meeting held on Tuesday and the vigil held in partnership with the NARAL Pro-Choice Wisconsin volunteer team at the capitol Oct. 3. Long talked about protests happening nationally as well, from New York City to Berkeley. Hayley Archer, a UW Law School alumna and ISO organizer, spoke about abortion and healthcare during the second half of the meeting. Similarly to Long, Archer expressed her disappointment in both the Democratic Party and Planned Parenthood for not taking more action against Kavanaugh’s nomination. According to Archer, appointing Kavanaugh could lead to an overturn of Roe v. Wade which legalized abortion nationally. Archer also discussed Operation Rescue, an anti-abortion organization that attempts to dissuade patrons from going inside clinics that perform abortions. She said the best way to fight Operation Rescue is to protest directly outside of clinics so as to discourage pro-life protesters from using the space. Several community members voiced their opinions on abortion, the Democratic Party and Kavanaugh’s nomination once the meeting was opened to discussion. ISO plans to organize more protests in the coming weeks. Long said the coming days will be impossible to predict in terms of new developments with Kavanaugh’s nomination.